BOGOTA. Dozens of people looked skyward for several minutes watching an object that flew around erratically in the vicinity of Bogotá, Colombia's Zona Rosa. Those who thought they were seeing an unidentified flying object (UFO), and those who took an endless number of photographs of what they took to be an unusual phenomenon were disappointed after the Bogotá Planetarium reported its findings. Given that the UFO subject became a trending topic on Twitter, the Planetario de Bogotá explained, through its Facebook account, that the alleged UFO was in fact a balloon. 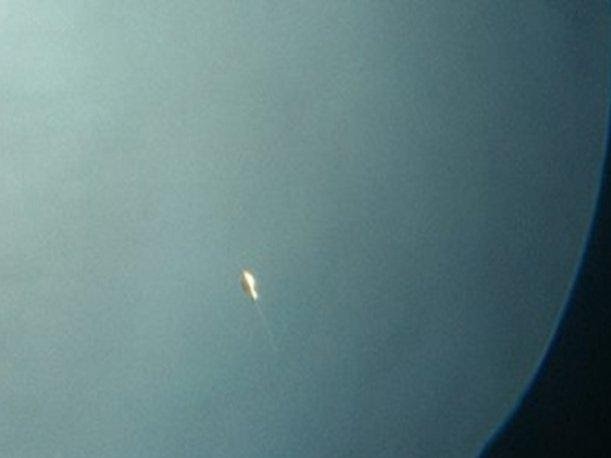 "A photo of the balloon mistaken for a UFO was taken using the 8-inch telescope at the Bogotá Planetarium on Friday afternoon, 12 December ." To confirm its pronouncement, it presented a photo of the object, credited to Mauricio Giraldo. The matter of the alleged UFO was promptly forgotten. Argentina: A Fireball Over San Juan Province?